Our Baby Sleep White Noise has been professionally produced and recorded to provide a pure white noise specifically for helping relaxing, calming and soothing your baby gently to sleep. As you play the sound, you can individually alter the volume and tone settings to provide the exact level to suit your requirements. 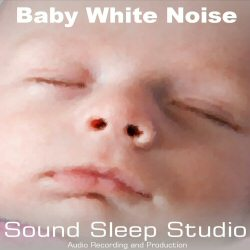 Baby Sleep White Noise is available as a simple MP3 download. The MP3 can be played directly from your computer or via any MP3 player. You can be playing this soothing sound to your baby in just a few minutes and provide that comforting sound at the touch of a button.